Does your family participate in Elf on the Shelf? We are on our fourth year and we absolutely love it. The holiday’s have always been about magic and making the day meaningful in my family, so adding the elf has given us a chance to bring joy and magic back in to our daily lives. It also gives us the chance to see our kids react with genuine awe and excitement. So much of our world is filled with chaos, stress, and fear. It makes me sublimely happy that I can bring them innocence and joy even if it is only for a few weeks with the help fo a small stuffed elf. We try to incorporate lots of different stories and bring in Jesus and the importance of giving during our month with the elves (yes I am that crazy mom that has two!) but we also try to have as much fun as possible with them. For us it isn’t about reporting back to Santa. It is about bringing joy and interacting with our kids all month long. You can find dozens upon dozens of ideas all over the web, especially on pinterest. We are preparing for our two elves to arrive and I love to leave a letter from them for the kids. This year I found two different letters I love, and cannot decide which to use. I may print both and pick one in the heat of the moment when I place them the night before. What are your plans for your elves? 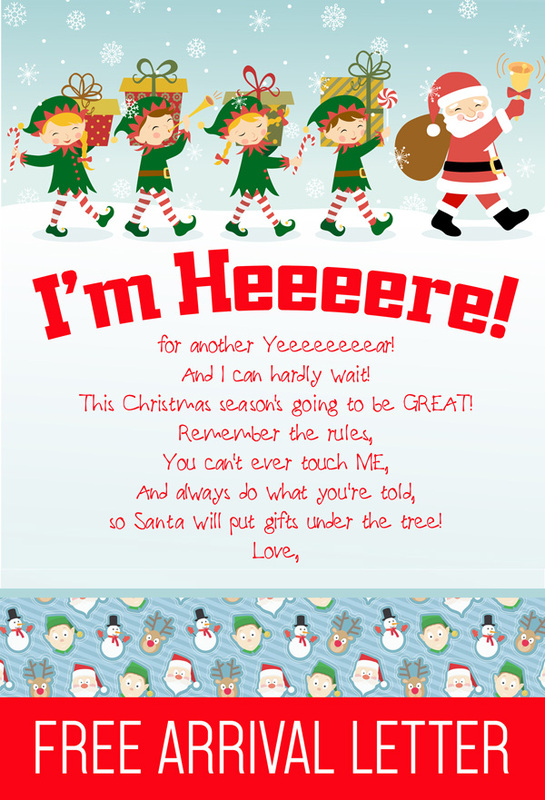 Be sure to check out these two free printables for your letters, one from Yummy Mummy Kitchen and one from I Think We Could Be Friends, and while you are there see their ideas for elves and try a few! This entry was posted in Activities and tagged Christmas, elf on the shelf, elf on the shelf letter, elf returns, elves, I think we could be friends, return of the elf, the boys store, yummy mummys kitchen on November 28, 2018 by Lacy.